In 2014 self-publishing accounted for 5% of the total UK book market – both print and digital – with sales of £58 million (source: Neilsen Book Data). With well-established authors, such as Cornelia Funke, moving from traditional publishing houses to self-publish themselves this figure is set to rise and rise. (1)	Decide from the outset, if you can, who your book is for. If it is just family and friends then matters are relatively simple. If you want a wider marketplace that includes retailers and other traders and businesses then the book needs to conform to supply chain conditions. (2) Keep high standards for the production and presentation of your book. Think carefully how you want the book to look, appropriate to its market and content. If you have a good “draft” copy, then ask friends and family for feedback and advice. If you have professional contacts ask them as well – perhaps contacts in a bookstore, school or library; or other designers, authors or publishers you know. As publisher, then the book, its style and looks, should reflect the qualities of your business. 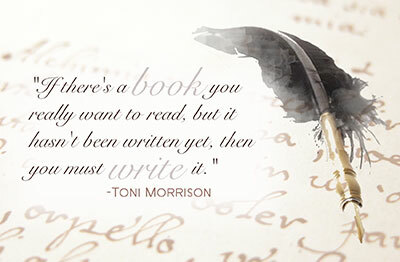 If you are the author, then your book may well become part of your life and legacy! (3)	If you are seeking a wide marketplace for your book, then research is vital. Browse your local bookstore and surf internet retailers. Check that the title of your book is unique and does not lead to confusion or already relate to another book or concept. Even a publisher name or author name can lead to confusion if not suitably exclusive. You might want to check, at an early stage, that a certain website url in your publisher name or author name is available to you. Your research will also help you decide on a retail price for your book and a distinctive style and presentation. (4)	Follow the basic supply chain “rules”: ISBN, bar-coding, bibliographic information, publisher name details and distributor name details. Try and keep information simple, precise but effective. (5) Plan a marketing programme to target your book to its market. Consider enriching bibliographic data to give potential business customers as well as end-user consumers as much information as you can on your book. See if you can find a range of sales channels for your book, but be wary that different channels pay require different supply chains and costs; they may even require different styles or packaging for your book. (6)	The retail price – be careful when assessing the retail price for your book. In most cases, the shorter the supply chain: the fewer the costs. There can also be pre-publishing and set-up costs, as well as production and author royalty costs. You should try and freeze the retail price for as long as you can. (7)	The size of a print run has immediate impact on costs but it will also directly affect the speed and availability of your book to market. It may also define the production method for your book (for instance, print on demand, short run or offset litho) and also storage and insurance considerations. Ask us for advice on book printing and for the options we can offer you. (8)	When all is complete and your book is available, then seek regular feedback and progress reports and monitor sales as closely as you can. At some stage you will probably need to change aspects of your book and your plans to react to unforeseen circumstances. Try and keep close tabs on who is buying or using your book, and why. How did they hear of the book? What can you do to attract more customers and more sales? And finally – It hardly need be said, but quality is paramount! When you consider the millions of books available your book must look the best, or, at least, on a level with the competition.